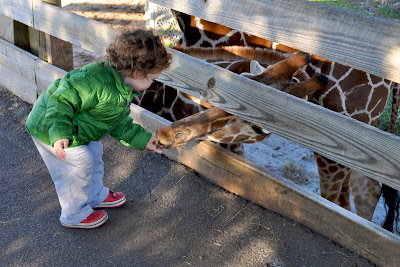 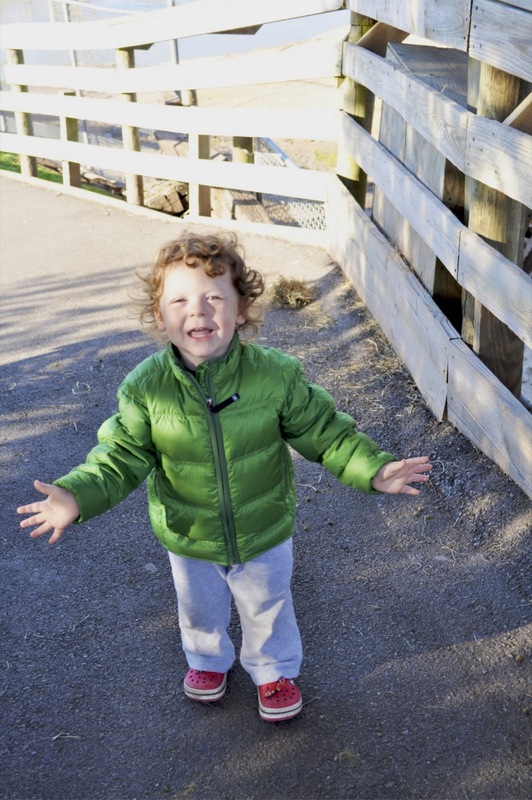 Our favorite part of yesterday was making some new friends at the local zoo. 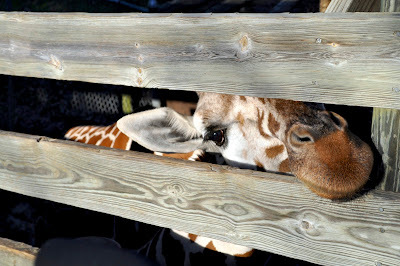 Have you ever seen a giraffe up close? We really enjoyed it. 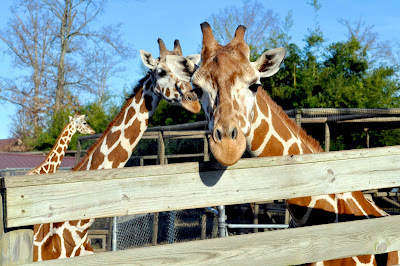 There is something mythic about their size and the way that their towering necks sway and bob to keep pace with their skinny legs as they walk about. 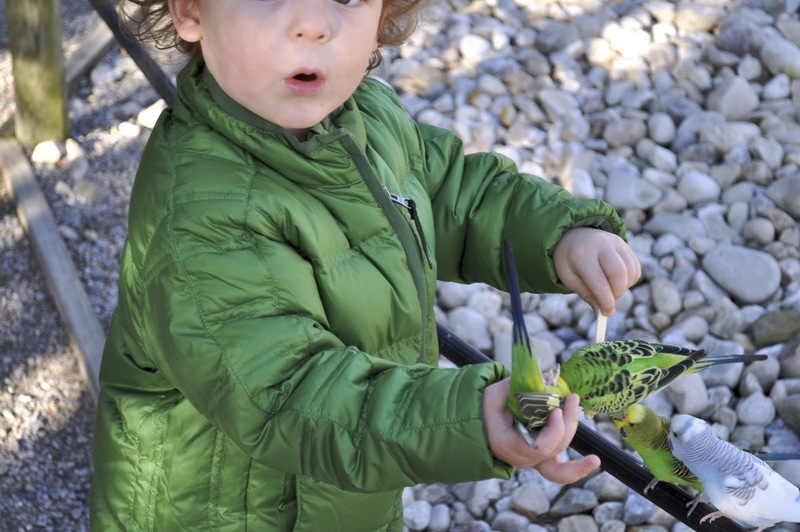 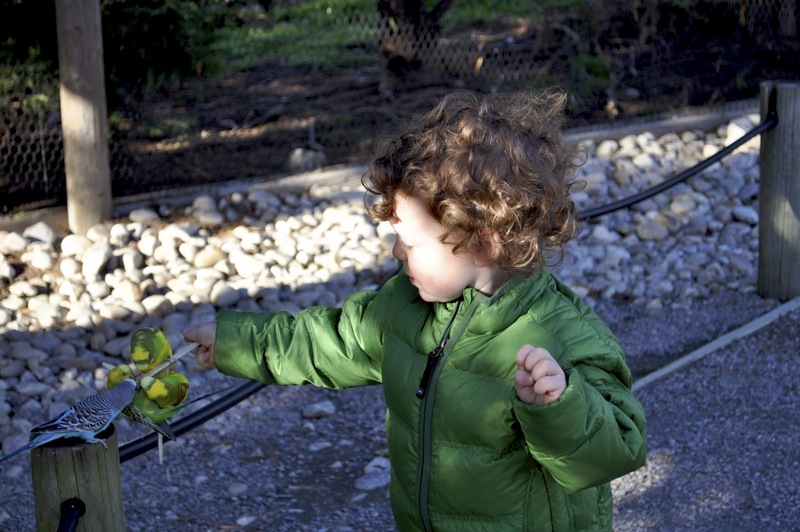 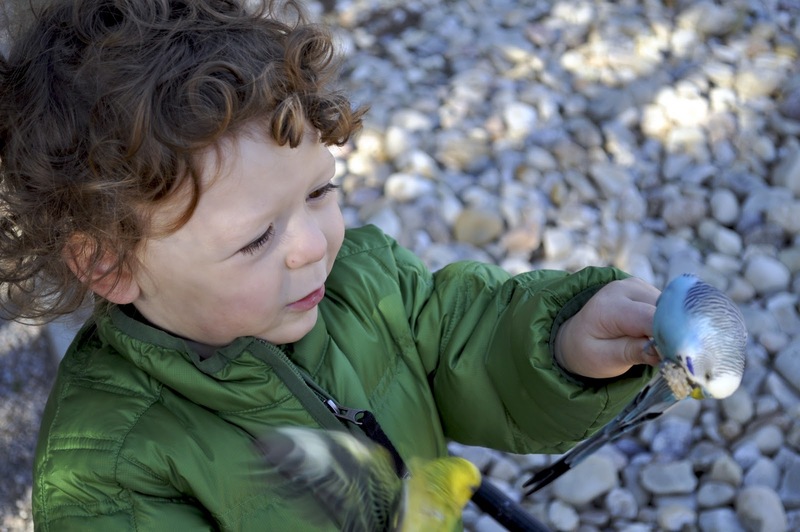 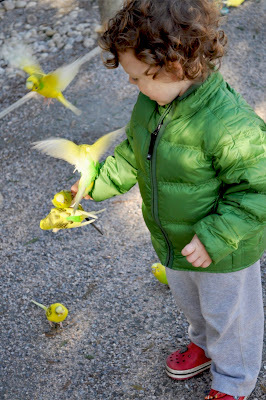 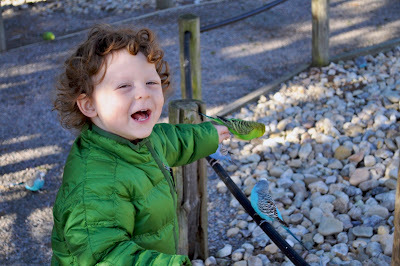 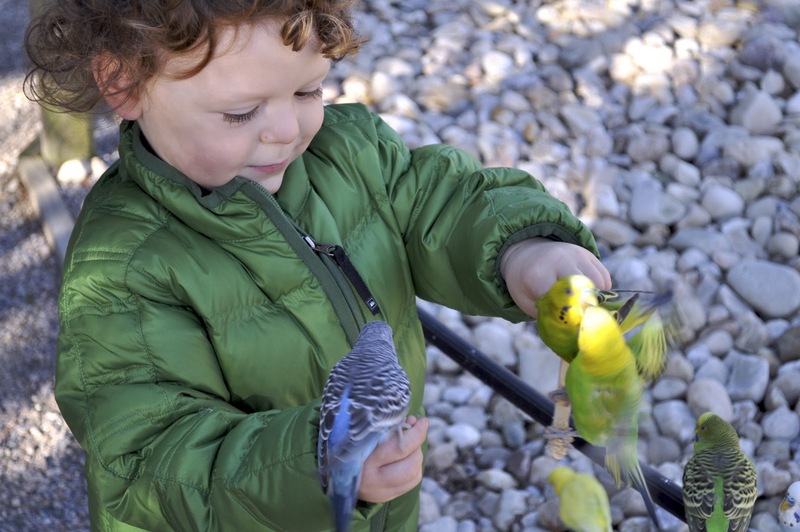 And the flock of parakeets were really fun too! Oh my gosh! 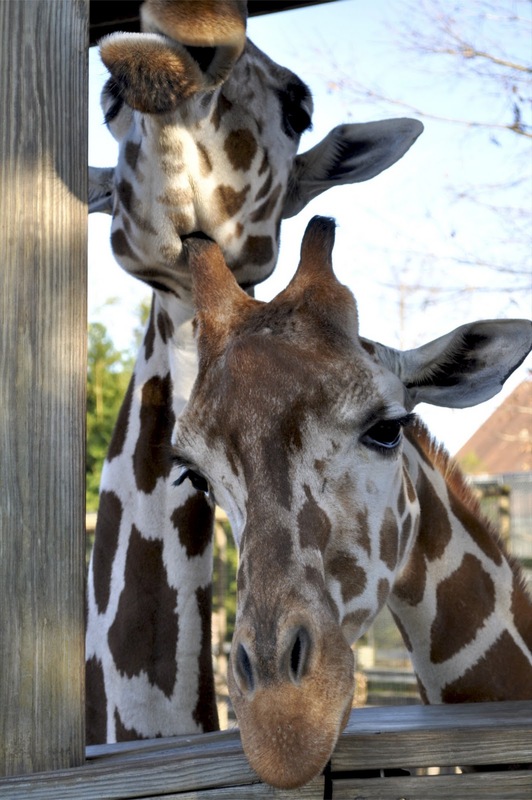 Those giraffes are SO CUTE! 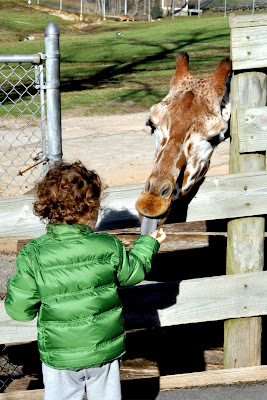 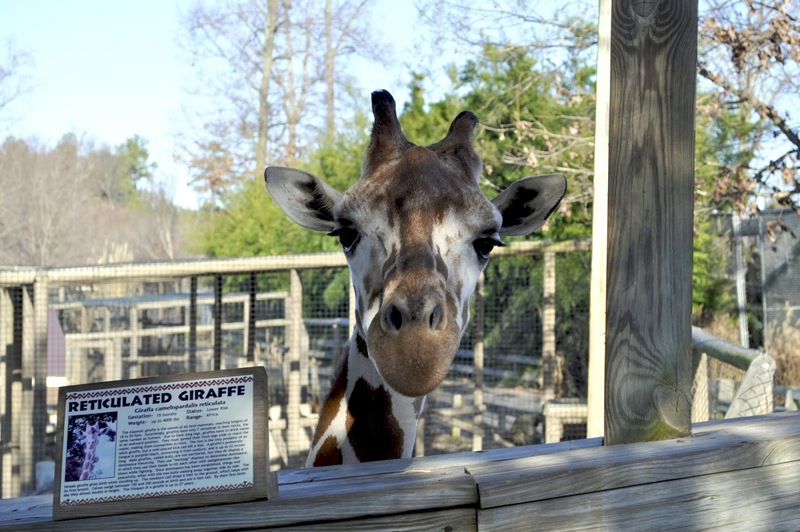 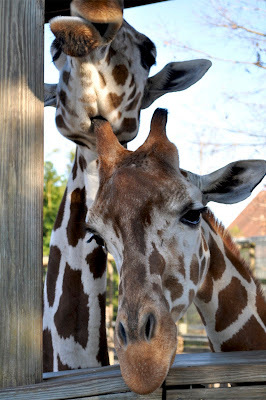 Lilah's favorite animal right now are giraffes, so I showed her these pics and she loved them :) That's so great that you have such a wonderful zoo close by!